March and April as you all know is time for spring break madness! Kids all over the world have a week off at school and the parents take them on vacation to beautiful destinations such as the BVI! We are then ready to take both parents and kids out diving! 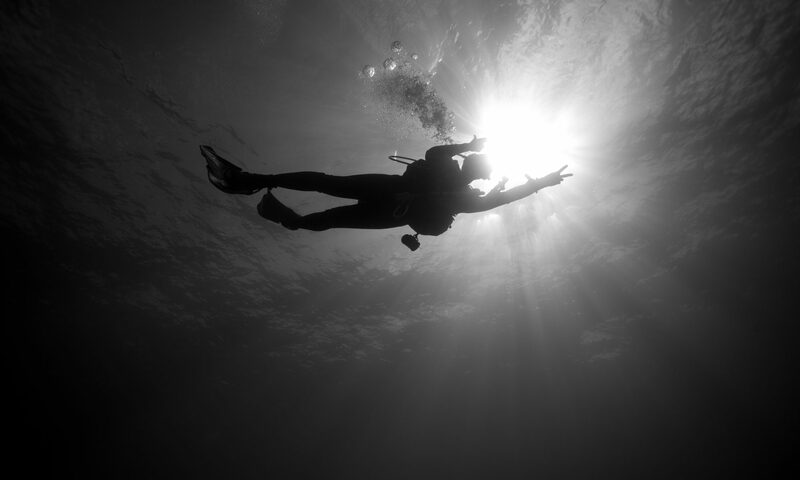 This time of the year we do lots and lots of resort courses or Discover Scuba Diving experiences! If you are not certified or you just haven’t been diving for a while, you can come and join us in this four-hour introduction to diving! You have to be 10 years old in order for us to take you diving in the ocean. We explain some basic theory and do some in water practice, some skills and mainly make sure you are comfortable in the equipment. Straight after that it is time for some real fun out in the ocean! We take you to one of the dozen beautiful dive sites to a maximum depth of 40 ft, to discover what marine life we can find! The smaller ones, 8 or 9 years old, we take in the pool for a Bubblemaker experience. About an hour of fun in the pool with Ben or I, wearing the real dive equipment! We blow bubbles under the water and play games such as finding treasures, racing, learning underwater hand signals and my all time favorite underwater summer salts! Bert Kilbride (founder of Kilbrides Underwater Tours our original dive shop name) received the ‘NOGI’ award for sports education for inventing the resort course in 1987, which is now known as the PADI Discover Scuba Diving Experience. Bert and a select group of people including Jacques Cousteau all received the award for scuba diving. Some of the girls I took diving, Meta and her already certified friend Rebecca are some of the people who did multiple days of diving with us. Meta was a bit hesitant about diving and wasn’t really sure if she would like it. She decided that she could at least give it a try though, for her friend! After the pool we fooled her dad saying that she hated it. She didn’t really though and after I took her out diving to Little Grotto she was hooked on diving! The rest of the week she couldn’t wait to come diving with us again. Some of them get really spoiled! We took one off the families to Mountain Point, a beautiful shallow coral reef about 20 minutes from our base in the Bitter End Yacht Club! After we descended down the line nice and slowly we started our adventure, heading into a beautiful valley of coral! The first thing we saw was a juvenile nurse shark, calmly sleeping, just resting on the bottom under some coral! As we continued through the valley we found a little Spanish lobster in one of the holes, merely sticking its tentacles out! Making our way in and around the coral heads we saw lots of smaller reef fish, such as butterfly fish, wrasse, trumpet fish, trunk fish, parrot fish and the list goes on and on. The nice thing about the Discover Scuba Diving experience is that once you do the experience with us you can come and dive with us the rest of the week, without having to do the theory and pool again! Lots of people do this and we even recommend it, because the first time you might be a bit nervous by not knowing what to expect. The second time you know exactly what is going to happen and you enjoy the dive even more than you did on the first one. This time of the year is also Humpback whale season! After being here almost 2 years as crew we had decided that they were all just whale tales, as we hadn’t seen one yet. Then on a beautiful calm afternoon, we figured it was calm enough to even take our first time divers to the Invisibles, one of our dive sites just of Necker Island (Ben’s favorite dive site in the BVI). Normally we don’t like to take first time divers out there as it is a bit more exposed to the weather conditions such as waves and current. As it was perfectly flat and the beginner divers did great in the pool, we decided to give it a shot. As we passed Eustasia Reef and were heading towards the Invisibles, Ben suddenly slowed down the boat and hollered at us to come on the bow and keep our eyes in front of the boat. He had seen whales! Sure enough, he was right, a Humpback mother and her calf were just passing by in the shallows of the bay. About 5 times they came to the surface to breathe showing us their backs as we watch with our mouths wide open. So while we continue for another couple of weeks of madness, we want to wish all of you a happy Easter and hopefully see you soon for summer vacation!